5 Tips On Finding Your Parts Online! As of 2014, within 3 days, Google was processing more information than all written works of mankind created since the beginning of recorded history and in all languages! On the flip side, it would take one over 95,000 years to do a manual search of Google’s 50 billion web pages, at one minute per page! Old or young, tech savvy or not, the internet is the easiest way to find your truck parts, regardless of its complexity and behemoth-ness. Given the magnitude and amount of possible search results, there is a learning curve and a method to searching for truck parts in a way that maximizes your results and gets you the answers you seek. 1. Search Terms. When using a search engine like Google, enter the 2-4 most important terms into your search. For example, if you are trying to find EGR Valve for a Cummins ISX engine, you might start with searching “EGR Valve Cummins ISX.” Keep in mind that Google doesn’t care in which order you enter the search terms. Also, 2-4 terms is just a recommendation. The point is, keep the number of terms you use to a minimum, but just enough to produce great Google results! The results will, much of the time, produce content directly referring to the keywords you’re searching. And, if these were the most accurate keywords the results will likely include parts you can view by simply clicking on the listing. 2. Specificity. Sometimes being specific with the wrong keywords in search engine searches can produce poor results. Here’s a scenario to help explain the point. Let’s say you’re told by your mechanic that you need a pitman arm for your Ford, and he mentions it has a part number E8HT-3590-EB. Based on the previous tip, you might be tempted to search by details: “1989 Ford F600 Pitman Arm.” But specificity here will lead your search astray! Google loves to lead you to answers, but you must give it love first, by entering the most accurate and relevant keywords! In this case, the results you get will be clouded with multiple part numbers and part listings of plenty of pitman arms that have nothing to do with your intended search. Let me also say as a side note: Searches for Ford parts can be a black hole of effort, leaving you with nothing after wasted time of Googling because there is not as much literature and part information, comparatively, as that of other manufacturers. Here’s the scenario that includes the appropriate specifics that will produce relevant results. Of course, knowing the truck is a Ford, you are somewhat safe to assume it to be a Ford part number. So, start with Googling the part and typing in “E8HT-3590-EB Ford” or “E8HT-3590-EB pitman.” Now, if this is a good Ford part number, and there is some type of demand, supply, literature, or inventory posted to the internet with this part number, you should get some great, even surprising results. 3. Incomplete information. If you have an incomplete number of EHT-3590-EB (vs. the complete one, E8HT-3590-EB), try searching it. In most cases, since the part number is not complete, your results will be skewed, and you’ll quickly hit a dead end in your Google journey! Enter, once again, broad searches of 2-4 relevant keywords! Remember, in this scenario our part number, EHT-3590-EB, is incomplete, but it’s all you have! Now what? Well, think of other relevant keywords to go along with it the incomplete number, or don’t include the incomplete information, if you feel it would help. Let’s try “EHT-3590-EB Ford steering” or “EHT_3590-EB Ford pitman,” since we know it’s a component of the steering assembly. This type of search will put you right back in the neighborhood of very helpful answers! 4. Second chances. When lacking great search results, it’s all about giving a search engine two or more chances with a combination of different critical keywords until you find the results you were hoping for. Remember, specificity can hurt or help. If you are super specific, and get no results, broaden the terms a bit more. ​5. Best sites locating parts and info. Sites like heavytruckparts.net or truckpartsinventory.com are the premium sites to locate your used and new parts anywhere around the U.S. and Canada. 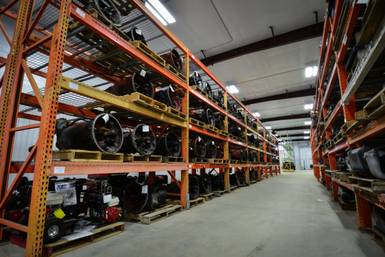 These sites post the inventories of hundreds of salvage yards around the country, and depending on the salvage yard, will include pictures, details, prices and more. If they don’t generate the results you are looking for, use Google for everything from part images, part number info, and part diagrams. Google is the big kahuna when it comes to search engines, and generates better results than Bing, Yahoo and AskJeeves. 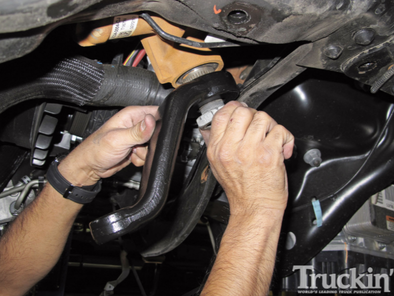 Hopefully these hints help you find your used or aftermarket truck parts easier and faster! Googling and searching parts sites are great but what is most important is finding a truck parts specialist that you can trust to find the right part. 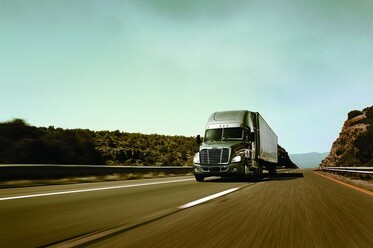 This is the fastest way to get competitive quotes, and get your truck back on the road making money!